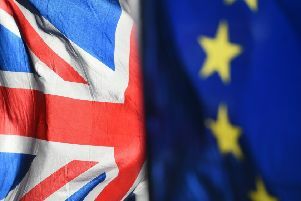 Market Rasen MP Sir Edward Leigh has defended his decision to vote in favour of the Prime Minister’s Brexit deal. MPs last week rejected Prime Minister Theresa May’s EU withdrawal agreement - but Sir Edward Leigh backed the deal, despite previously raising concerns about it. Explaining his decision, Sir Edward said: “I believe in Brexit. “I think that a global Britain free to strike trade deals on our own, for our own benefit; free to decide our own migration policy, free to make our own laws is an opportunity to really seize control of our own destiny. “I voted to support the Government’s Withdrawal Deal last week as it has become increasingly clear that the majority of my fellow parliamentarians are relentless in their pursuit of frustrating and reversing Brexit. “This must not be allowed to happen. “Not just because it was the right decision, supported by the vast majority of my own constituents, but because it could cause untold harm to people’s trust and faith in our democracy. “Their plans would shatter our social contract. “That we ask the people to choose and then implement their decision. “It may not have been a perfect deal, but was the best chance to ensure that we deliver Brexit in the current political situation. “I am working with the Prime Minister, Theresa May, to find creative ways to solve the issue of the Northern Irish backstop, which has caused such concern among my colleagues. Eurosceptic Sir Edward had been an outspoken critic of Mrs May’s deal, and tabled an amendment calling for the termination of the agreement if the EU refused to remove a “backstop” arrangement for the Irish border by the end of 2021. Sir Edward was recently appointed to the Queen’s Privy Council, a formal body of special advisers, along with two other Conservative MPs. The national media reported how Labour MP Virendra Sharma claimed the appointments were part of a “desperate” attempt by the Government to shore up support for the Prime Minister’s EU Withdrawal Agreement ahead of the crucial vote in the Commons.